Welcome to the official website of The Addis Army, a bunch of cricket fans that follow the England cricket team all round the world on every England tour. Our group was formed back on the 2004/05 tour to South Africa when for reasons best known to ourselves, we went to South Africa via Addis Ababa on the glorious Ethiopian Airlines. This is our official website, read on and enjoy and if you see us at games please come over and join us for a beer or two. What do the England players think about the Addis Army? Here's England leading run-scorer Alastair Cook thanking the Addis Army for its support on tour. The Addis Army were formed back on the 2004/05 tour to South Africa, when for crazy reasons we ended up in Ethiopia. Read how it all begun. For the latest Addis Army news, tour diaries, blogs, interviews with players and ex players, tour advice, and more, subscribe to our free newsletter. March 2019 - It’s time to rewind the clock back to the 1990s for this month’s interview. A bowler who was consistent, hugely accurate, a wicket-taker and someone who, but for injury and strange selection decisions, should have played many, many more Test matches for his country, Angus Fraser. February 2019 - I’m going to begin this month’s interview with a question. What has Shane Warne, Gareth Southgate, Jose Mourinho, Sir Alex Ferguson, Sir David Brailsford, Sir Mo Farah, Sir AP McCoy (note all the Sir’s!) and Mathew Pinsett all got in common? Answer: They have winning ‘mindsets’ and have all been interviewed by one of the World’s leading sports psychologists. 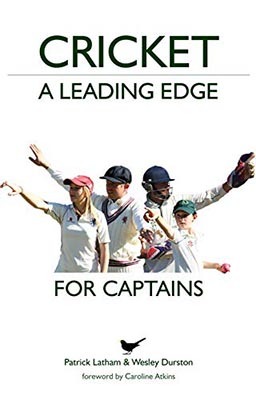 January 2019 - hen people are asked to name their most admired captains from the late 1990s one person’s name comes up more than most, former Surrey and England one-day captain, Adam Hollioake. And when you look at his record it’s a difficult one to argue: 3 county championships, 2 Benson & Hedges Cups, a NatWest Pro 40 League title (and division 2 title), a Twenty20 Cup and then throw in the Sharjah Cup with England, you have a truly phenomenal haul. October 2018 - It’s not often you get to speak to someone who has opened both the bowling and batting at an ICC World Cup and who earlier this year scored one of the finest ODI hundreds against England, a mightily impressive 140 not out, off of just 94 balls - Scotland’s Calum MacLeod. July 2018 With the Test series against India fast approaching and questions still being asked about the make-up of our batting line-up and in particular who will bat at number 3, this month we speak to arguably one of the most stylish top order batsmen to have played the game in the early 2000s. June 2018 - We’ve recounted many Ashes stories and battles throughout our series of interviews with formers players and coaches and we’re going to add to the list this month, but this time with a twist. This month we’re stepping into enemy territory and interviewing an Australian! Jofra Archer – The World Cup Winner? April 2019 - When England’s National Selector Ed Smith announced the preliminary World Cup squad this week, I was mildly amused to see Sussex’s gifted, young Barbadian all-rounder Jofra Archer missing from the list. Archer is a highly-promising cricketer who could become regarded as a world-class bowling all-rounder in time. April 2019 - In just over a month, the Cricket World Cup starts. Before the opening match between England and South Africa at The Oval, there will be plenty of speculation over the makeup of each squad of players. The regulations demand that each country names a squad of 15 players by April 23rd, but changes can be made up to May 22nd. Therein lies my frustration with the futility of the April deadline. April 2019 - Maternity leave is great. I mean, it’s brutal at the start. And slightly less brutal but still exhausting that bit further in. But babies love a bit of TV and since I refuse to welcome Peppa Pig or other such nonsense into my life, the saving grace for Jos and me in the afternoons has been the IPL. April 2019 - What an incredible start to the domestic season. All of a sudden, the bat has dominated the ball in the first couple of rounds of County Championship matches. Runs galore and bowlers just not getting the assistance one would expect from wickets in April. March 2019 - This week I have been looking at getting Jos, the Addis Army’s youngest member, Christened, and those of you who have been there before will know that it can be quite tricky sorting the whole godparent thing. Super traditional churches will only allow a baptism with the correct number of godparents (three, with two the same gender as the baby) who have been both baptised and confirmed within the Church of England. March 2019 - Might Paul Farbrace prove to be the missing link should England fail in their bid for World Cup glory this summer? When looking to a model for elite sporting success, many turn their eyes towards Manchester United Football Club. Under Sir Matt Busby, the club recovered from the tragedy of the Munich Air Disaster in 1958 and went on to develop a new team of ‘Busby Babes’ to become European Champions in 1968. 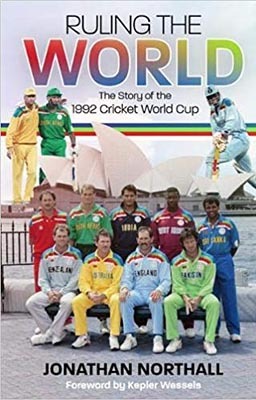 March 2019 - Many years ago, I was given a book on cricket records which made for great reading while otherwise disposed. This was when I came across the records of the incredible S F Barnes. For a player to have been “selected” by Cricinfo in their all-time England XI and by no less than Richie Benaud in his greatest XI speaks volumes. February 2019 - The suspension of West Indies captain, Jason Holder, for the third and final test of this series in St Lucia has split opinion among cricket supporters, journalists and pundits. February 2019 - As Joe Root reflects on his excellent century in the 3rd Test of the current series in the Caribbean, he will know that he put his team in a strong position to win the match and come away from the debacle of Barbados and Antigua with some credibility restored. What can we look forward to from England’s cricket in 2019? January 2019 - 2019 promises to be one of our most successful calendar years if we can build on the series win in Sri Lanka and finalise some of the team positions that have troubled the team management for so long. January 2019 - As 2019 begins, England’s cricketers are preparing for what could turn out to be a momentous year. From a variety of different and exotic locations, England’s most sought-after players are gearing up for a home World Cup and an Ashes Series too. What on earth am I going to write about this time? January 2019 - So another County Championship season draws to a close with the final round of fixtures well under way. What have we learnt that we didn’t know before? In Division One, there has been another dominant team following on from Essex’s stroll to the title in 2017. Many congratulations go to Surrey for being the best team this year by a country mile. 12th March 2019 - When we arrived in Barbados in January we were asked what colour tour we were on (Howzat the company I use for tours uses colours: white to platinum to grade the standard) .... so I came up with Beige for our unorganised tour. We are now at the end it and it’s been a success with all accommodation/flights/tickets being up to scratch and the cost being way less then half of doing a organised tour. 8th March 2019 - No readers, I am not referring to the UK and/or Brexit! Many of you will be having thoughts of touring South Africa in 2019-20. Indeed, I gather some eager beavers have already booked flights - Ethiopian Airlines via Addis Ababa, no less! Who in their right minds would do that, eh?? Having very recently returned from a month long touring holiday in South Africa, I thought it might be useful to pen some thoughts about how the country has evolved since my first visit in 1996. 15th February 2019 - Having decided not to do the Test matches in Sri Lanka (thought it would rain) I arranged to do the whole of the West Indies tour with a friend Sharon (friend of a friend) and am now back in my favourite island Barbados exactly halfway through my trip. Saint’s Birthday Test Win in Galle – it’s all about me! 26th November 2018 - With a skip in our steps (and Derby Skip’s company) we are off to Heathrow to meet up with Tremmers and Freddie for this much-anticipated trip to one of my favourite places anywhere. Sri Lanka, and specifically Galle/Unawatuna. 24th November 2018 - The Addis is gradually massing. Tom and Tractor have been here a few days, staying in the posh Galle Face Hotel on the seafront in Colombo. I got here on Wednesday and stayed with my Sri Lankan friend, Ranjith, in Colombo but didn’t make it to the Galle Face. 18th September 2018 - This is, of course, a dead rubber Test, a result of the rather flattering 3-1 lead England has in this fascinating series. But then it is Cookie's last Test which gives it a lot of sentimental value, especially for me who was at Nagpur all those 161 Tests ago in 2006 when the world seemed a much simpler place. 28th August 2018 - As this will be my last Addis blog for some considerable time, our generous Editor has kindly agreed to sponsor a pop quiz. Within the body of this text, dear reader, you will find a number of famous song titles, some obvious and some not so. 8th June 2018 - There is even less cricket than usual in this one folks. A combination of Pakistan’s inadequate batting, and the fact that I can’t really be bothered commentating on the match anymore as you will have seen it unfold on TV, are to blame. Hopefully a couple of giggles though! 2nd April 2018 - I am now in a much better place than I was in Auckland. We go home next week, and at last I can see the light at the end of the tunnel on this exhausting trip. Steak pudding, chips and gravy are now only seven days away. Besides, every time I look on the BBC Sport website at the moment, I see people worse off than me. 27th March 2018 - First, a word of overdue thanks to James Whitaker. Thanks ever so much for resigning. It is a far, far better thing that you do.........let's hope certain others follow your example. I had not intended to commence another diary until after the Auckland Test. However the best laid plans can go awry, especially when there are amusing incidents to relate! 11th March 2018 -I am responsible for the booking at our overnight stay in Oamaru. A 'Historic Area Apartment' which no doubt will come complete with historic appliances and furniture. I can sense that Lofty is ready to pounce if this apartment isn't up to scratch, so it is with some trepidation I sit in the passenger seat while an unusually jovial Lofty does the driving. 7th March 2018 -It is early Sunday morning. Very early, in fact. Having watched England's thrilling win in Wellington on Saturday night, we are booked on the 9am ferry to Picton. A 6am alarm call, shower, pack....wait....it is Lofty's 71st birthday today. The door to his room is sealed tighter than Tutenkhamun's tomb as usual. 3rd March 2018 -Readers might not blame us for wanting to leave Hamilton as soon as possible, but we stayed around long enough for breakfast in the Central Shopping plaza.Whilst eating our muesli and bran, we were astonished to see first the D.Willey family, then the M. Wood family, join us in this nondescript cafe. I could not resist. 25th February 2018 - It is 3.40 pm on Saturday and I am dodging the tumbleweed blowing along Hamilton's main street in the blazing heat. A huge Maori wearing wet-suit bottoms and an open dress shirt is slumped against a shop front as if sun bathing, but he is clearly stocious. 23rd February 2018 - This post needs to be contextualised. Tropical Cyclone Gita has just devastated areas of the South Island, some of which Lofty and Midnight were travelling through only last week. Due to good luck more than good planning, the pair escaped the South Island by ferry yesterday in torrential rain before the real fun and games started. April 2019 - No-one supports Derbyshire Cricket Club for the glory. No one supports them for the regular cup finals at Lords or to see a side bristling with England Test players.To support Derbyshire CC you must be from Derbyshire and really love cricket. In fact you must be from Derbyshire, really love cricket and have a sado-masochistic streak. February 2019 - In the Third Test England finally picked a team for the pitch conditions and Hey presto won a Test. Obviously England's turnaround in fortunes can't completely be explained by picking Wood and dropping Bairstow down the order, but it did at least make an uncompetitive team competitive. October 2018 - Over my 40 years of watching Test Cricket, England have always had at least one quality, experienced opening bat. Most of that time we often had two. Through Boycott, Gooch, Atherton, Stewart, Trescothick, Strauss and Cook, each new opener had an experienced man at the other hand and eventually grew out of their shadow to become great themselves. June 2018 - The Sri Lankan Cricket Board has angered English Cricket Supporters by selling all the best seats at the Galle, Mandy and Colombo Tests to a corporate hospitality company who are changing between £40 and £110 for day 'packages'. May 2018 - Later this month the ICC will discuss a proposal to either give the away captain the choice of whether to bat or bowl or the option that the County Championship has chosen which is the visiting captain gets to either bowl first or revert to the toss to decide who bats first. The aim of this change is to stop home sides doctoring pitches to suit themselves and to improve the record of away teams on tour. April 2018 - When I first heard about Day/Night Tests the tradionalist in me bridled at the idea. Then I realised I was going to a Day/Nighter in Auckland and I liked the prospect even less. However I didn't want it to spoil my tour in any way so I tried to attend with an open mind. October 2017 - One late night in Bristol, two England cricketers were drunk and in that danger zone between club and taxi. We have all been there. Anyone who has left a city centre pub or club at 2am and took longer than 5 minutes to get in a taxi has seen people looking for a confrontation. August 2017 - Something a bit different from me this month. Instead of my usual ramblings I want to pose a question to you! Which non cricketing country would you love to start playing cricket so England could tour there? It can be absolutely anywhere! June 2017 - The recent England ODI team has been like Theresa May started this election campaign. Strong and stable. Everyone knew the team and everyone in the team knew there jobs. Roy Hales Root Morgan Stokes Buttler Ali Woakes Plunkett Rashid Wood.